Help! I Use Coupons, Why Am I NOT Saving Money? 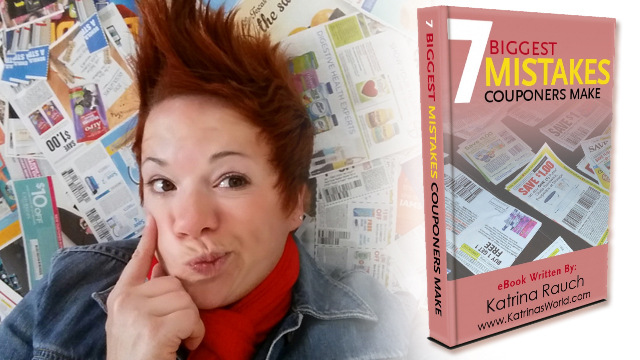 My my long anticipated couponing eBook, 7 Biggest Mistakes Couponers Make, is finally finished. I’ve been working on this eBook for the past several months and I’m so excited that I’ve finally finished it! This is my very first eBook and I hope there are many more to follow in the months and years to come. This particular eBook is full of practical advice and useful tips to help both the newbie and experienced couponer succeed with couponing! All seven mistakes that I’ve discussed are my own personal mistakes that I’ve made on my coupon journey, and I wanted to share them so you can avoid the same mistakes I’ve made. I’ll answer one of the questions I hear most often, “I use coupons, but why am I not saving any money?” This is a common misconception of couponing – just because you use coupons, doesn’t mean you are going to save money. There are a lot more factors that contribute to big savings at the grocery store. 7 Biggest Mistakes Couponers Make discusses all of these misconceptions and provides practical advice on how to really save your family some money at the grocery store. Download my FREE eBook right now and please share it with your friends and family, and with anyone you know who needs help couponing! Copyright © 2019 Katrina's World. All Rights Reserved.